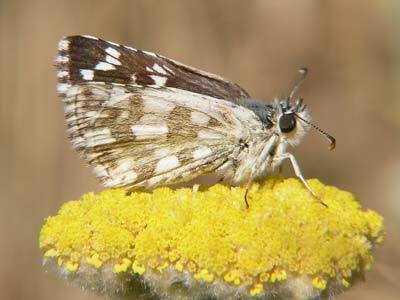 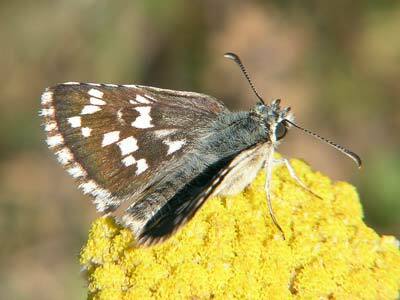 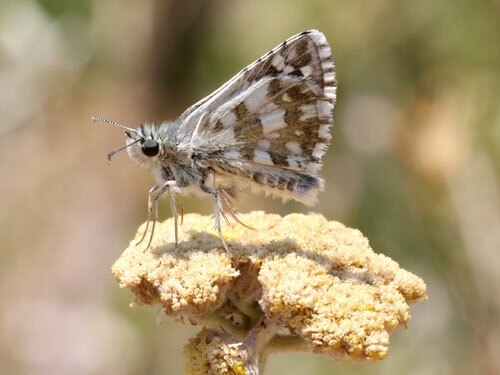 When I first saw this species in Greece there was little doubt as to its identity. 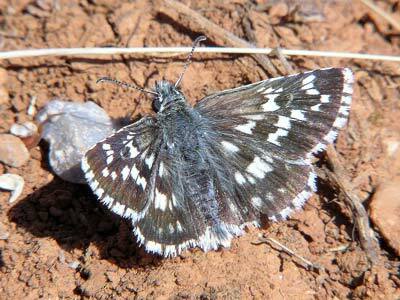 It is large in flight and the extensive white markings are obvious. 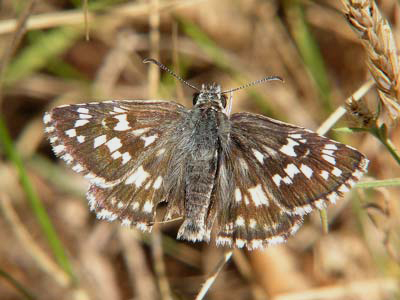 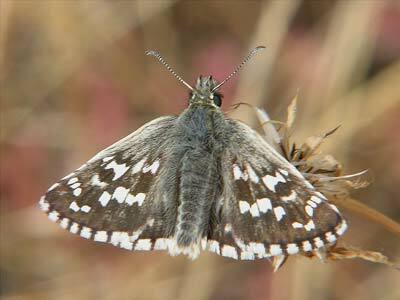 Identification & Similar species: A large species with large square upperside markings including a strong basal spot in space 2 of the forewing and well defined hindwing markings. 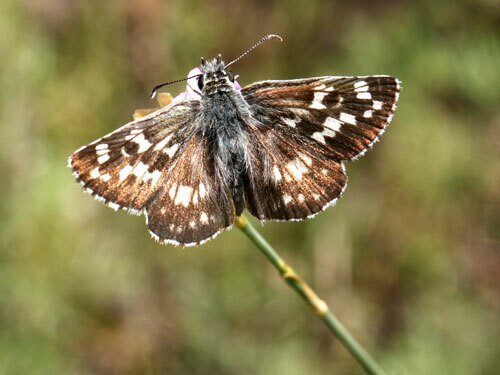 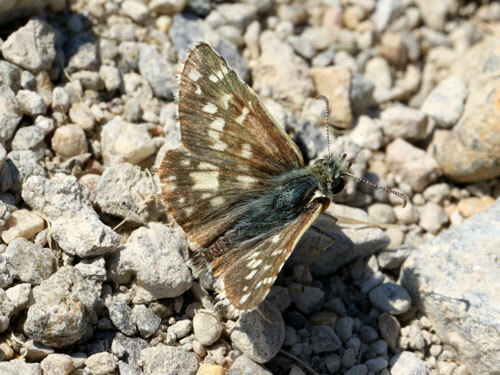 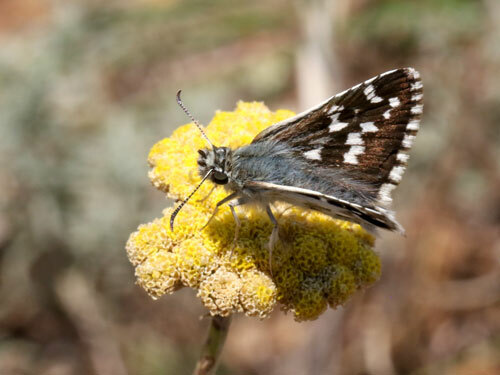 Distribution & Flight: Montes Universales in Spain where subspecies chlorinda is very local and rare (also first reported from north Madrid in 2010) in late July/ August and subspecies cinarae is widespread but local in south Balkans in June/ July. 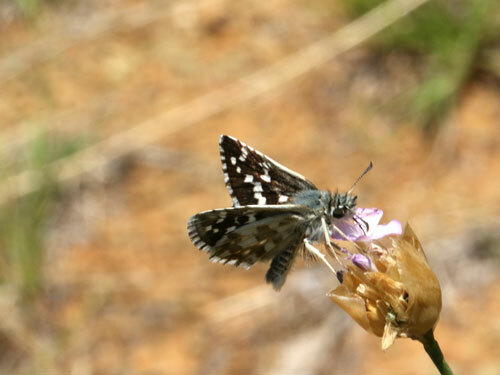 Habitat & Behaviour: Dry grassy places with flowers.